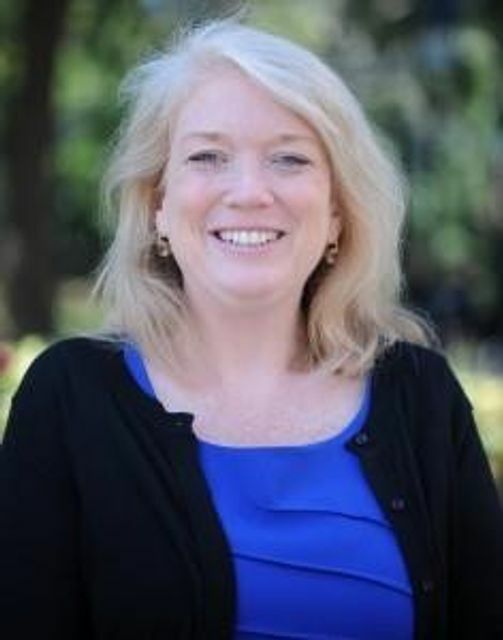 Mary McKernan McKay, the McSilver Professor of Poverty Studies and director of the McSilver Institute for Poverty Policy and Research at New York University’s Silver School of Social Work, has been appointed dean of the Brown School at Washington University in St. Louis, effective July 1, according to Chancellor Mark S. Wrighton. McKay will succeed Edward F. Lawlor, who announced in August that he would conclude his deanship after leading the Brown School since 2004. “I am simply delighted that Mary McKay has accepted our offer to come to Washington University as dean of the Brown School,” Wrighton said. “She is a talented scholar and administrator, and we could not be more pleased to have someone of her caliber stepping into the role. “I am also exceptionally grateful to Eddie Lawlor for his years of service. Thanks in large part to his vision and wisdom, the Brown School is well poised to continue its trajectory of excellence as Mary assumes leadership,” Wrighton said. A member of the NYU faculty since 2011, McKay’s scholarly interests are focused on child mental health services, child- and family-focused HIV prevention and care, and social service delivery to poverty- impacted youth and families. The McSilver Institute, which she directs, studies the root causes of poverty, develops evidence-based interventions and translates research findings into action. Prior to assuming her current role, McKay had served as head of the Division of Mental Health Services Research at Mount Sinai School of Medicine, where she received significant federal funding for research to explore the mental health and prevention needs of youth and families impacted by poverty. Through this work, she and her colleagues developed a substantial body of findings on engagement practices to improve family-based HIV prevention and mental health programs. The co-author of two books and over 150 peer reviewed articles, McKay has received numerous awards and honors from organizations including the American Academy of Social Work and Social Welfare, the National Alliance on Mental Illness, and the American Association for Marriage & Family Therapy. She is a graduate of Loyola University of Chicago, where she earned bachelor’s and master’s degrees. She earned her doctorate in social work from the University of Illinois at Chicago. Washington University in St. Louis is a private research university. Founded in 1853, and named after George Washington, the university has students and faculty from all 50 U.S. states and more than 120 countries. 25 Nobel laureates have been affiliated with Washington University, nine having done the major part of their pioneering research at the university. Washington University's undergraduate program is ranked 15th by U.S. News and World Report. The university is ranked 32nd in the world by the Academic Ranking of World Universities.